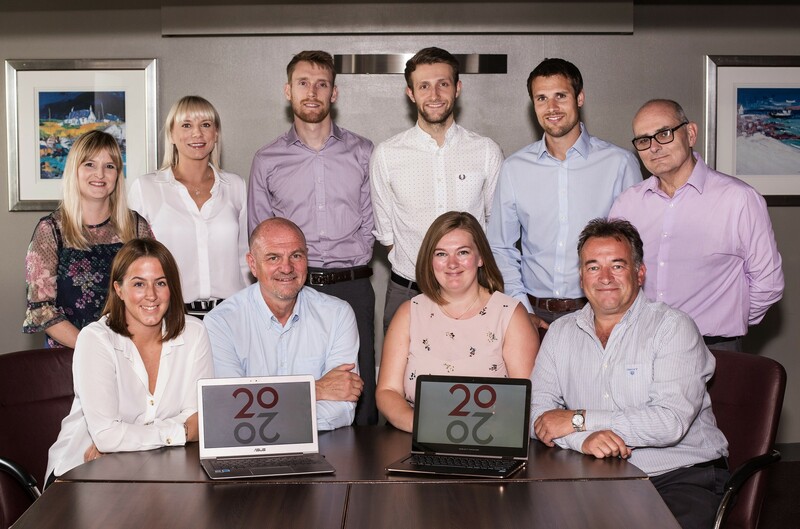 The UK’s leading specialist provider of project management training, 20/20, is one of the latest Scottish businesses to announce its transition to employee ownership, with 20 employees becoming owners. The project management and project controls training company delivers courses and consulting services throughout the world from its Aberdeen base. It works with major names across a range of sectors including BP, Centrica, Transport for London, BAE, Rolls Royce and AMEC, as well as a range of public sector organisations, and has an annual turnover of £3million. An Employee Ownership Trust (EOT) has been formed and holds 61% of the shares on behalf of the employees with the option to acquire the remaining shares in the future. Becoming an employee-owned company has been a positive step for 20/20, with the board of directors deciding it was the right move to enable the engagement of the employees to effectively take the business through its long-term goals. We caught up with founding director Tony Marks to find out more about the decision. Mr Marks said: “Initially employee ownership was considered as part of 20/20’s succession planning strategy, and after I attended a succession masterclass run by Co-operative Development Scotland the benefits became very apparent and the plans to make it a reality came into action. “We had developed a future leaders programme with the eventual aim of preparing some of our staff to oversee business operations. Myself and two fellow directors were the three main shareholders in the business and we still hadn’t resolved the issue of realising the value of our individual shares. “Hearing first-hand about the process and experience of becoming employee-owned really helped us understand the potential benefits, and we agreed it was an effective solution to our succession issues. The prospect of a more engaged workforce and a culture which encouraged greater innovation really appealed to us. We held a team meeting to tell our staff, and the news was very well-received. This entry was posted in BLOG on October 2, 2018 by CDS Admin.